The globalizing society of information that we live in today introduces changes to all spheres of our lives. This, of course, includes the requirements that employers set to their workers worldwide. For example, now that all the documentation is in digital format, the volume of the necessary protocol documentation has actually increased. Therefore, professionals in all spheres and fields of expertise need to be familiar with how to work with this documentation. It often involves actual writing, so writing skills become increasingly in demand for professions where these skills were previously irrelevant. We have all been to school, and we have all been taught how to write. However, those of us who were planning to pursue non-writing-related careers were reluctant to pay enough attention to developing these skills. Today, these people are willing to catch up and close this gap. 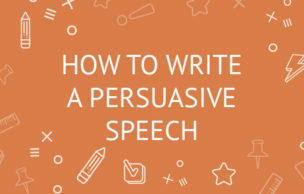 Fortunately for them, while writing is a complex process requiring a set of peculiar skills, modern scholars easily break it down into simpler elements that can be trained with relative ease. Of course, it does not mean that you can learn how to write properly in no time, but the statistic research is encouraging – pretty much everybody who sets the goal to learn how to write properly, succeeds. As we have mentioned, writing consists of several processes that can be pointed out and explained one by one, so that the process is devoid of any magic or mystery. After some time of hard work and refining your skills you will be able to just sit down and produce a written piece worthy of attention pretty much at any time, with pleasure and with minimized errors, writer’s blocks, etc. Preparation. First, you plan your writing: you gather ideas through brainstorm and research. Then, you organize and outline all these ideas. You can use diagrams or other methods of mapping for that. At this earliest stage, you already need to keep your readership and the purpose or your work in mind at all times. You also begin to shape your paper’s thesis statement as early as that. Putting together a draft. You use your outline to put all the ideas that you have gathered in a logical and organized manner. They should be put in such order to fulfill the purpose of presenting your main point to your readership. Revision. This is where you give your draft another in-depth read to refine it to have it perfectly organized, to make your narration clear, logical, and smooth. You may re-organize the bits of information, you may add or leave out some pieces, etc. You also refine the style and tone of your writing to better suit your purpose and to be more effective with your target readership. Proofreading and editing. Your writing should be almost ready concerning the content at this stage. So, your task here is to refine the form. You correct the grammar, punctuation, etc., so that your writing looked flawless and your reader was not irritated by such small drawbacks. At this point, it is a good idea to ask someone whose writing skills (and ethics) you trust for a qualified feedback. Revealing your writing to the audiences. This is the last stage of the writing process and its logical conclusion. You share your writing with your readership. This suggests any kind of sharing: by reading it out loud, by mailing or emailing to those who you want to read it, by printing it, or by having it published at an online resource. We pay great attention to every element or stage of the writing process because we believe that they are all equally important to get a flawless end result. A strong cooperation between the student and the tutor is crucial at all stages – to answer all the questions that may arise and to deal with every possible issue as soon as it is spotted. To achieve this, students are to present their accomplished assignments according to the provided schedules and to receive the feedback from the teachers. This feedback combines an analysis of the details that demand improvement with highlighting and appreciating the student's strong points. The students are expected to keep this feedback in mind during the consequents stages of the training and to implement the mentor’s suggestions. Should any mentor’s comment be unclear to the student or should the student have any other questions related to his or her writing, s/he is expected to address these concerns to the teacher. Thus, the main point of the writing training process is the constant dialogue between the trainer and the trainee. Traditionally, all writing classes were centered on the end result. This means that the instructors were only analyzing the writings of students once they were finished. The students would get feedback only for the accomplished piece of writing, so all the possible errors were revealed to them only at the final stage, even if they were made earlier, as early as at the stage of preparation. This changed, however, in the 1970s. The approach to teaching writing was modernized significantly. The end result was no longer the focus, whereas the instructors have expanded their attention span to the whole writing process and all its elements and stages. This has proved to be an effective method to teach writing because it addresses all the issues that any student may have to deal with. Students are different people, and therefore, they may encounter different obstacles as they write. Focusing on the writing process as opposed to focusing on the end result allows addressing all these complications and effectively solving all the possible issues as they arise, without waiting for the writing to be finished. We teach our students to write in a wide range of different styles which require a different flow of thought in the process. This range includes everything from straightforward analytical writing to mind-mapping heavy on graphical aid. As a result, the student has better control over his or her thinking process while writing. The trainee finds the most effective way to organize his or her facts and ideas in written form, mastering his/her unique approach to organizing the information. We encourage our students to start with a sort of channeled brainstorming, followed by putting the ideas together in a comprehensive outline. 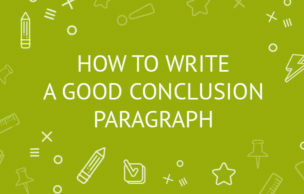 Advanced level students can start with presenting the ready outline or a list of thoughts, accompanied by a finalized thesis statement for their paper, but it shall nevertheless be presented in a written or graphic form, suggesting that they have already conducted the brainstorming on their own. These processes are monitored by the instructor who provides feedback on the go so that the student learns to be invested in the process from the earliest stages. Writing process is universal in its elements and stages, regardless of what exactly you are to write. Moreover, to perfect your writing, you may have to go through each of these stages over and over again. This is why even the most seasoned and celebrated essay writers realize that the writing process can be quite tedious. Drafts are meant to be corrected and modified countless times, and every correction that you choose to make should be noted on the way, so you didn’t leave it behind. You waltz back and forth between different stages of writing until you can spot the root cause of every flaw and effectively eliminate it. You keep re-organizing the structure of your writing, you add and remove some bits, etc. Only after every flaw is properly investigated and taken care of, can you say that your writing has been finalized. However, it still cannot be regarded as the end result. This is the time when your writing needs a fresh look to eliminate the "minor" flaws, such as typing errors, grammar and punctuation mistakes, etc. Only when this fine-tuning is done, your writing is ready to be published, and the process is finalized entirely.